You are so clever! My ears have just started to reacting to all my earrings (even the posh ones) but I&#39;m hoping this is a temporary thing so I can make some of these. 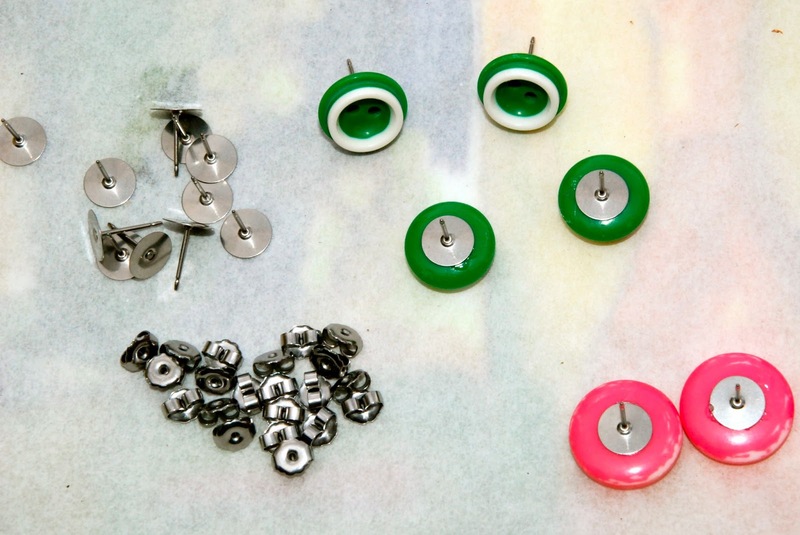 I have MILLIONS of amazing buttons that deserve to be made into something! 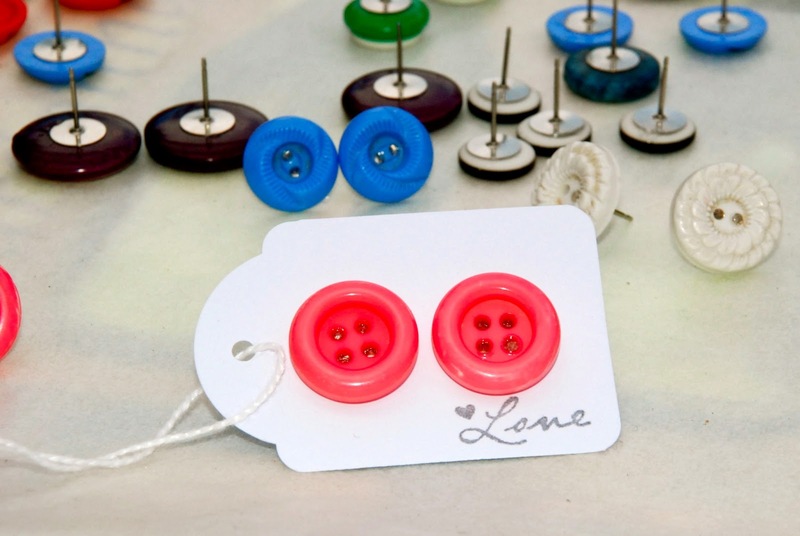 I do love buttons – I do love collections of things. I especially love this collection of buttons as earings. 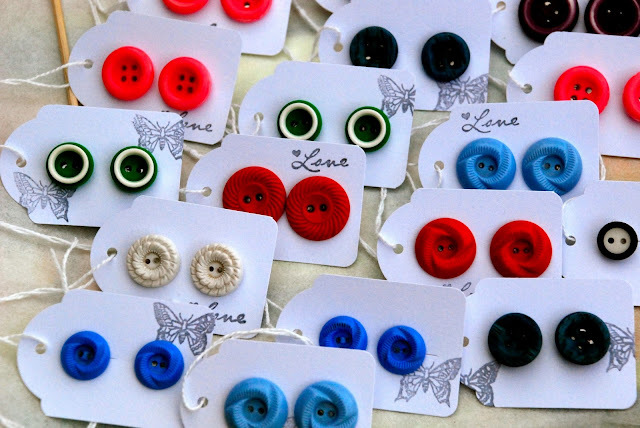 Cos sometimes buttons are just too lovely to actually use as buttons. Cute idea Emma. You always come up with the goods! Great idea. I love those deep blue ones down the bottom of the image. I keep seeing gorgeous earrings lately and wish my ears were still pierced.